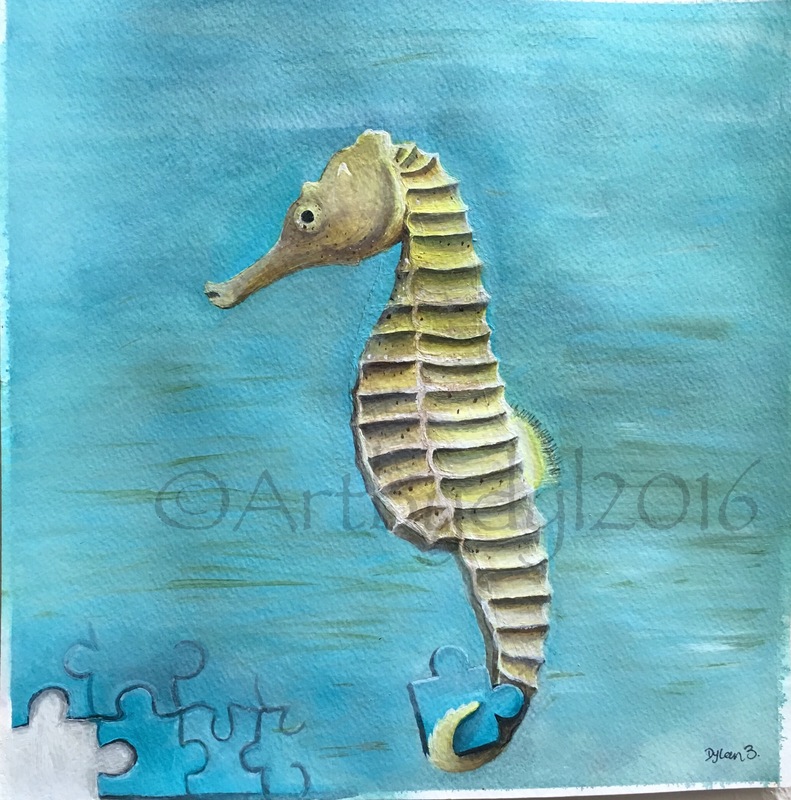 This entry was posted in Amazing Talent and tagged acrylic, Autism, Kids, ocean, puzzle, water, Watercolor. Bookmark the permalink. So very cute! Love how you worked in the puzzle pieces!